Tag: "kit carson electric coop"
In rural New Mexico, about 80 miles west of Albuquerque, sits the small town of Grants. This community of 9,000 people is the seat of Cibola County, but 77 percent of Grants' residents live without high-speed Internet access. Thanks to two intrepid electric cooperatives, however, the town is now set to receive a next-generation network. Continental Divide Electric Cooperative is teaming up with Kit Carson Electric Cooperative on a 3-year plan to bring a high-speed, fiber network to Grants. Local economic development groups are excited for the telecommuting and entrepreneurial opportunities. Continental Divide Electric Cooperative spent several years investigating how to improve Internet service. In 2014, they were rejected for a grant to build a proposed $77 million Fiber-to-the-Home (FTTH) network. By 2016, the cooperative devised another plan: partner with another organization to pursue better Internet access. The co-op members voted in May of that year to amend the bylaws to try that route. 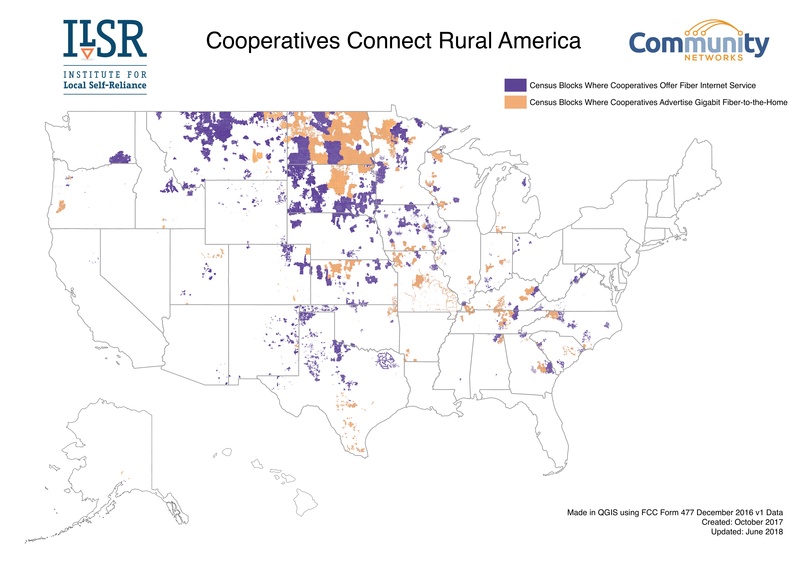 With the bylaws amended, the cooperative was then free to partner with Kit Carson Electric Cooperative, which built a fiber network in northern New Mexico a few years ago. Now, Kit Carson has the opportunity to share its experience. The cooperatives will connect homes and business in the town of Grants as they build out the network to connect Continental Divide's electrical substations. The Kit Carson Electric Cooperative (KCEC) “fiber-tohome” project will allow greater bandwidth, providing the quality necessary for applications such as telemedicine, teleconferencing and video sharing for education, business and entertainment. Once completed, the co-op’s project will make broadband service available to 29 communities, reaching about 20,500 households, 3,600 businesses and 183 community institutions, including hospitals, schools and other government facilities. Two Native American pueblos will also receive broadband service once the project is complete. The PRC's original order stated that Kit Carson must create a separate Internet subsidiary to protect electric ratepayers from potential losses, or explain why such a separation was not feasible. According to the article, KCEC received communication from the RUS looking for clarification on whether or not the order was entered and would be followed. The RUS wanted a definitive answer because divestiture would violate the terms of the agreement between KCEC and the RUS. The entire project was in jeopardy.